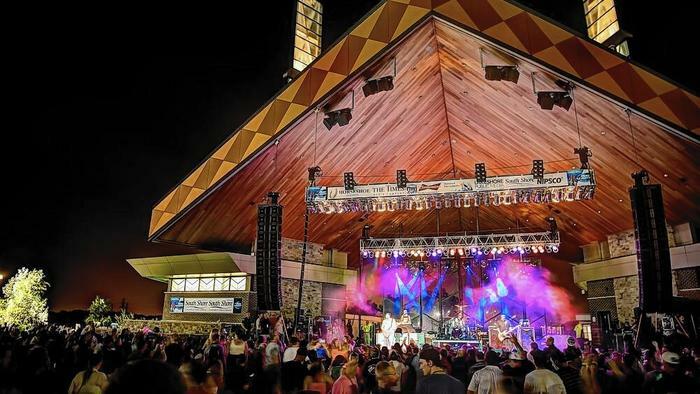 Enjoy five nights of rockin’ fun on Wolf Lake as Hammond celebrates the 12th annual Festival of the Lakes on July 15 to 19. Admission to the festival is free at the gate, but there is a $25 fee for parking. A three-day parking pass for the event is $60 and can be purchased at the Hammond Civic Center located at 5825 Sohl Ave. The Hammond Experience Pass is also available for purchase. This $45 pass includes access to closer seating to the music stage and discounts on beer and alcohol. The Hammond Experience Passes must be purchased prior to July 14 and are also available at the Hammond Civic Center. LeAnne Munoz, Special Events Coordinator for the City of Hammond, said she is very excited about the Festival of the Lakes. For the alternative night July 15, the popular bands Alien Ant Farm, Hoobastank and P.O.D. will take the stage. On July 16, country night kicks off with The Charlie Daniels Band and the opening act, High Noon. For the classic rock night July 17, the legendary band Boston with opening act The Rave will be performing. On July 18 for rap night, 2 Chainz will perform with opening acts Liptak and Cap 1. And on the closing day, July 19, for Latin night, Erik Antonio & Banda Potrillos will be opening for Roberto Tapia. Sunday is also the Polka day party at Festival of the Lakes, featuring the polka band New Phaze. This festival not only offers popular musical acts but also a way for families and the community to come together. For information about Festival of the Lakes in Hammond, visit its Facebook page or check out Festivalofthelakes.com. Beth Casey is a freelance reporter. Cost: Admission is free. Parking is $25 per car.